Providing a showcase for Liverpool’s businesses since 2002! Liverpool BA are excited to be inviting businesses once again to their flagship event, Liverpool Business Fair. 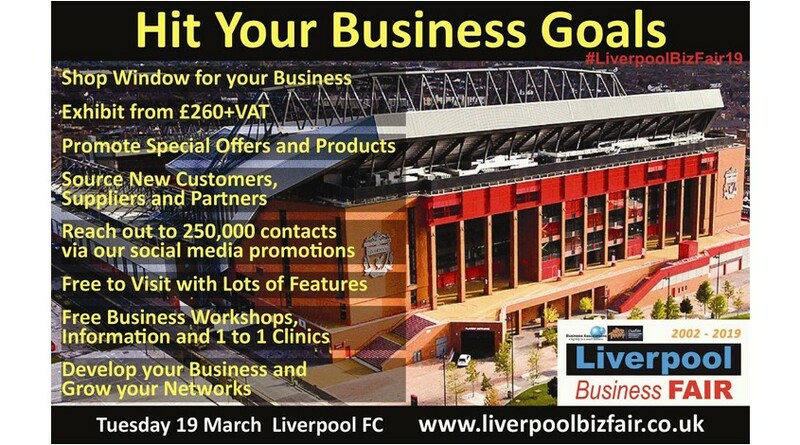 Taking place annually since 2002, the Business Fair is now in its eighteenth year – again being held in the stunning facilities of the Dugout in Liverpool FC’s new main stand. Visiting the Business Fair (attending the exhibition/workshops and taking part in the networking session) is completely free of charge. Book your complimentary visitor tickets at https://liverpoolbizfair.co.uk. For those looking to have a higher profile, a range of exhibition and sponsorship opportunities are also available, plus members can take advantage of a 10% discount! Book exhibition space online at https://liverpoolbizfair.co.uk/exhibit - enter promo code EXCLUB to get your 10% discount.